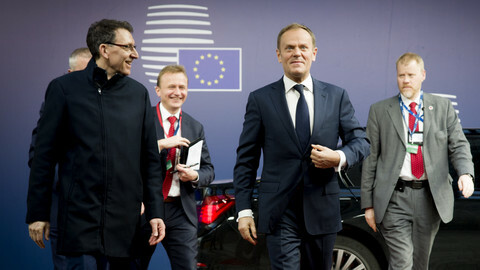 The flagship news programme on Polish public TV described the Tusk row on Thursday (9 March) as a triumph that laid bare German EU bullying, in a sign of Poland's new political environment. 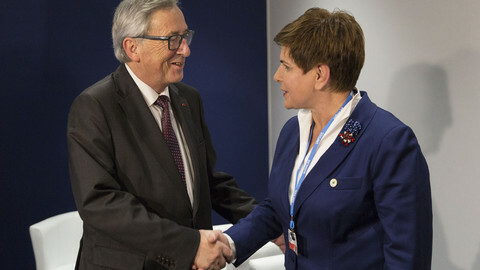 EU states on Thursday (9 March) snubbed the Polish delegation by re-electing Donald Tusk as Council chief despite fierce opposition by Polish prime minister Beata Szydlo, whose Law and Justice (PiS) party abhors him. Most media, including those that were considered loyal to PiS, described it as a fiasco for Warsaw. But Wiadomosci, the flagship news show of Poland's public broadcaster, TVP, said Tusk had been re-elected due to German pressure and that Poland had achieved its goal by “laying bare” how the EU really worked. "Today's summit in Brussels demonstrated that the EU lacks democracy, and even the appearance of it," said TVP's reporter after EU heads of state voted 27 to 1 in favour of Tusk. Viewers were then shown an old clip in which Martin Schulz, a German politician who is running for election in autumn, said the spirit of Europe "may have to be imposed by force". They were told that the EU had blackmailed Greece back in the day to accept the terms of its bailout; and that the EU was corrupt, incompetent, and wanted to flood Poland with refugees. TVP said that Tusk, who is despised by PiS chief Jaroslaw Kaczynski, had tried to cover up knowledge of a financial scam in Poland. 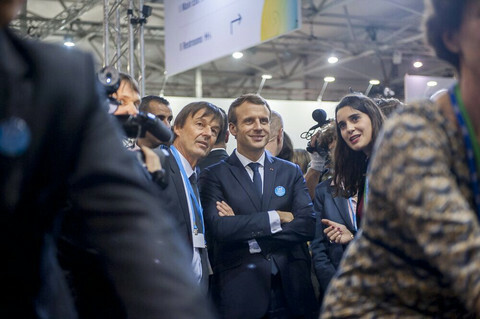 The news programme argued people like Tusk were only chosen because EU election procedures were less transparent than Vatican conclaves. "Some of the most important positions [in the EU] are held by people who likely wouldn't stand a chance if the positions were filled by popular elections", a TVP reporter said, adding that European Commission president Jean-Claude Juncker was mixed up in a tax scandal in Luxembourg. TVP also played a clip of Juncker at a summit in Riga in 2015, when he greeted EU leaders by slapping them on the neck in what looked like he was drunk. The news report bundled its EU coverage with material on the Council of Europe, a separate body based in France. It said the Council promoted Islamic sharia law, and republished a statement by Kaczynski from 2015 in which he claimed, falsely, that there were 54 sharia zones in Sweden. "The Council is indeed analysing the compatibility of Sharia law with the European charter of human rights, but hadn't so far taken a position and the elements gathered so far are rather opposed to the conclusions drawn by Polish tv," a press officer for the institution told EUobserver. 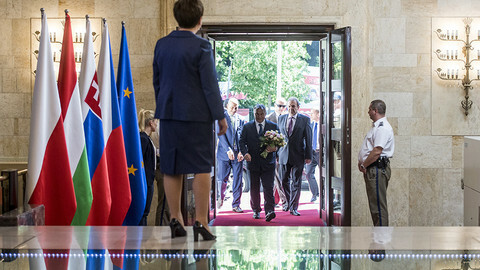 PiS took control of public media shortly after coming to power in October 2015. It also seized control of the constitutional court in a scandal that triggered a special EU monitoring procedure on rule of law. Polish TV reports now trumpet PiS successes on a daily basis, quoting economists or other experts who all sing the government’s praise. TVP also promulgates the party’s right-wing values. In other segments on Thursday, it attacked a gay mayor in the town of Slupsk over travelling to Berlin and accused people at a recent women’s day rally of hate speech. Polish TV already raised eyebrows at last July's Nato summit in Warsaw. The US president at the time, Barack Obama, met with his Polish counterpart, the PiS party’s Andrzej Duda, and publicly voiced US “concern” over Poland’s “actions” in the constitutional court affair. Polish TV showed the Obama-Duda meeting, but it silenced the original audio, while a Polish narrator said that Obama had congratulated Duda on Poland’s democratic credentials. EU leaders took just 30 minutes to vote Donald Tusk back into office, in a diplomatic fiasco for Polish prime minister Beata Szydlo. [Updated] Poland tried and failed to block EU summit conclusions shortly after failing to block Tusk’s re-election as Council chief, prompting bitter accusations. 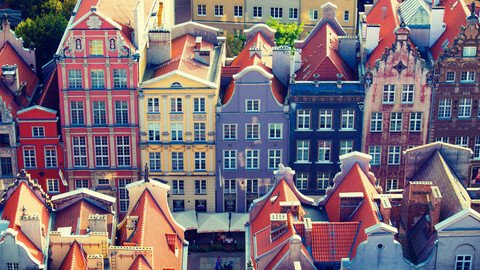 The Baltic port would like to become a city of solidarity with refugees. But its efforts are being blocked by ruling Law and Justice. Hungarian PM's Facebook and Twitter saw complaints, some of them profane, after he backed Tusk for EU president despite Polish opposition. Polish prime minister brought EU summit to the brink in an "emotional" fight against Council chief Tusk.